There is nothing really environmental friendly with us, if we just keep talking about it rather than taking an action towards it. And being environmentally conscious mainly requires us to be friendly towards all the creatures that exist in this world. The more steps we take towards preserving the environment, the more it is better for generations to come. A good way for a start would be to that ensure we create a friendly environment for the birds and animals that visit our places and inadvertently make them feel secure about it. One of the oldest creatures of our planet, the reptiles have survived through the test of time right for a long time now. Being vertebrae, the majority of reptiles live in temperate and tropical climate which helps them to regulate their body temperature. Reptile like crocodiles or turtles may not visit your neighbourhood, but chances are there snakes can, if you happen to live in a secluded area far off from the city. Initially, the idea of snake visiting your neighbourhood is scary, but if you are a nature and animal lover, you would get used to it and you may even start co-existing with them as time moves on. Creating an environment that is suitable for these reptiles is absolutely important. For one, they start feeling very secure about it and also they don’t pose a threat to other small creatures all the time. Eco green coirs, have successfully grown in the field of coir production and manufacturing for some time now and reptile huts are one among them. Our range of reptile huts is ideal for reptiles, frogs, spiders, hamsters and crabs. 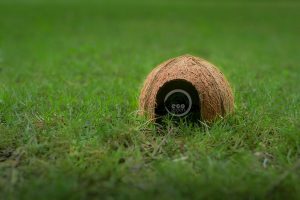 They are completely eco-friendly in nature as it is manufactured from empty coconut shells and designed with a small opening outside, giving way for the crawlers to enter. It is properly ventilated and crack resistant and is available in different sizes. They are the best hiding place for coiled snakes and frogs prefer them to lay eggs. They act as a natural shelter for the reptiles and it is easy to clean and maintain it. They look natural in a tank or an aquarium and therefore are ideal for an aquarium fish. Once you get a reptile hut, it is important that you note certain points for the well maintenance of the hut and also for the reptiles to live there. there are certain factors that need to be noted like, size, creating the perfect temperature for the reptiles to feel warm or cool, lighting or illuminating during the night time (if specifically required), humidity check and if necessary furnishing the habitat(to place any dish or plates). if you are an ardent nature/animal lover, and feel like helping our fellow beings, get reptile hut for the reptiles and prove that you are an environmentally conscious person even in your action.